One of the best ways to prepare for the Camino is to join one of the pilgrim related events, hikes or workshops available to the public. This month I offer an exclusive discount to a Life in a Walk documentary screening and a selection of organized walks that you can join. So, get out there for a hike to enjoy the changing colors of the season, crisp fall weather, and spectacular Bay Area sunsets! This is an informal gathering that takes place on the first Saturday of the month, rain or shine. The group meets at the Lake Merritt Pergola on the east side of Oakland’s Lake Merritt at 10:30 am and starts walking promptly at 10:45 am. It’s a level walk 3.3 miles around the lake and takes about an hour. If you decide to join one of these walks, make sure to give yourself plenty of time to find parking as there are many activities on Saturday morning in the Lake Merritt area. Or take BART to Lake Merritt or 19th St. stations. RSVP for Oct. 3 Lake Merritt walk. It seems fitting to close the season with a repeat of one of our most favorite walks. Join the California Mission Walkers group for a mid-week walk and ferry ride between Mission Dolores (the oldest standing structure in San Francisco) and Mission San Rafael. These are the only two California missions that can be visited in one day without driving. If you wish to attend, there is a 9 am mass in the old mission. Or, you can have a look around the old mission. It opens to the public at 9 am (there are admission fees). Total walking distance — under 10 miles, no hills. I have arranged for an exclusive discount for my blog followers for this screening. Enter “caminoprovides” as the Promo Code and get 20% off your order. Have you ever wanted to try hiking poles? The East Bay Regional Parks District offers poles technique workshops and hikes on the beautiful trails of the Oakland hills. 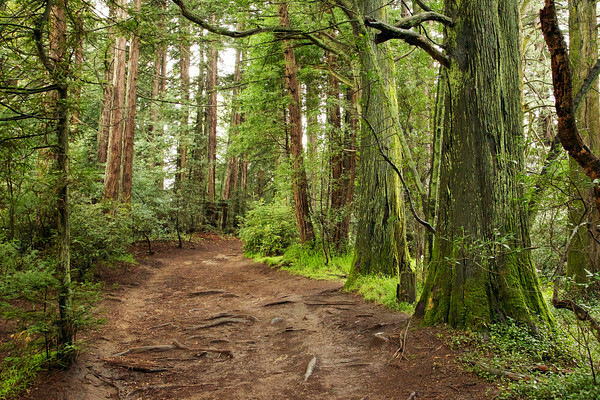 Experience everything in the Basic Hiking Skills & Techniques class plus a serenely-beautiful Redwood practice hike. Learn individualized strategies for improving your performance on varied uphill and downhill trails. “Test drive” different pole models; learn which fit you best (5 mile hike). One space left as of Oct. 2! Registration online. KENNEDY GROVE, Fern Cottage:- Easy-to-learn pole techniques and gentle exercises empower people with mobility challenges to maintain walking form, navigate everyday obstacles, reduce risk of falling, restore spine function, improve stamina and strengthen muscles that support weight-bearing joints. Optional lovely practice pole walk (1/3 mile). Special equipment provided. Registration is required. Tilden Park, Berkeley: Regional Parks Botanic Garden – Refine, enhance and learn new skills on gentle, varied terrain. Connect with nature while improving confidence, pole performance and body awareness. Explore the Park District’s unique California Native Garden. Previous poles instruction REQUIRED (2 mile hike). Register online. Hike, Stretch, Strengthen, Breathe! Practice pole hiking skills; improve your trail performance while mindfully experiencing beautiful Redwood trails. Interspersed stretches and strengthening movements focus on improving longevity and joint health (4 mile hike). Previous EBRPD pole hiking instruction REQUIRED. Register online. Get out your membership card so you can access rock bottom prices on used gear and clothing! Don’t live in the area? 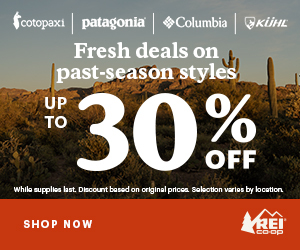 Find deals at the REI website and outlet! Traveling should never be a burden. Join us for practical tips on lightening your load while maximizing the experience. You’ll leave with the tools to keep overweight baggage at bay on your next adventure. Come join an REI Outdoor School Instructor on a hike in one of the Bay Area’s best hiking places. We’ll introduce you to local natural gems, teach you a few tips to making hiking more comfortable and help you hike at your own pace. See class / session details for which Best Hike we’ll be doing. Explore some of the world’s most beautiful coastline right here in your own backyard on a 5 mile coastal hike with 1000 feet of elevation gain. Relax afterward with a pint in hand at the famous Pelican Inn in Muir Beach. There’s nothing like hiking under a full moon! Join a trained REI Outdoor School Instructor for a special moonlit adventure at a nearby park. We’ll also teach you a few tips for hiking at any time of day. See location details for more information on the venue. If you live near a REI store, there are many workshops and occasional discussions with Camino book authors and hiking experts. Check rei.com for events in your area. When you spend $100 or more through Oct. 5th in stores or online! 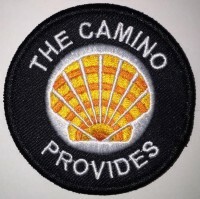 For those who live elsewhere, there are Camino hotspots nationwide and the American Pilgrims on the Camino (APOC) website has a listing of local chapters where you can find pilgrim events. There are also many active Facebook groups to learn about events in your region. See you on the trail. Buen Camino!